Have you ever thought about adding Joy, Love, Pleasure, Respect, Safety, Quality, and Wisdom to your meals? I had the pleasure of interviewing Susan Tate, author of Into the Mouths of Babes: A whole foods nutrition guide to feeding your infants and toddlers (1984, 1995, 2013) and Wellness Wisdom: 31 Ways to Nourish Your Mind, Body, & Spirit (2007, 2011). 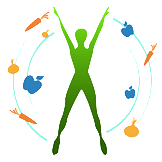 Susan shares her 7 Sacred Nutrients and how you can add them to your life to enhance your nutrition. 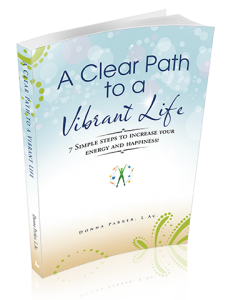 She also speaks about fast foods, nutritional supplements for kids, and what every mom needs to do to stay balanced. Although she is recognized worldwide as an author, teacher, and wellness visionary—she loves being a mother and a grandmother and treasures those titles above all others. Susan is the author of four health-related books, an international speaker, Nia black belt instructor, sexuality educator, holistic health coach, and former assistant professor in the School of Medicine and director of health promotion at the University of Virginia. 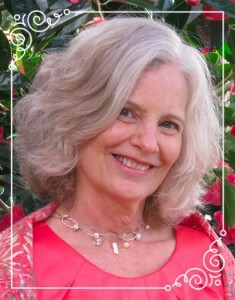 A health educator for over 45 years, Susan lives in the Seattle area. Learn more about Susan at her website. You can find the podcast interview at Health Coach Donna on iTunes or Podomatic.com. I hope you enjoy this engaging topic. joyful living ... delivered straight to your inbox. chapter of my book too. "Wow! Not only is the muffin top smaller (and continuing to shrink), but I'm also not feeling bloated after eating, I have a lot more energy, and feel so good!" Get your copy of my new book here!